Is weight loss surgery a cop out? If you just tried a little harder, had a little more willpower, made a little more effort to get to the gym, could you reach and maintain a healthy weight on your own? There is a lot of misunderstanding about the disease of obesity. It comes with a lot of blame and shame. Even healthcare providers (aka family physicians) often give the advice to simply eat less and move more. But does that work? Let’s start at the beginning. Very simply put, a positive energy balance causes weight gain. This happens when the number of calories consumed exceeds the number of calories the body uses. Overeating can cause excess calorie intake and sedentary behavior can reduce calories needed leading to weight gain. However, there are a number of other situations that can cause weight gain and fat accumulation, such as, a lack of adequate sleep (think shift workers, new parents, or those with sleep apnea); chronic stress; medications; pollutants; a diet high in added sugars, refined grains, fat, and processed foods; and a diet low in fresh fruits and vegetable, legumes, and quality protein. Another factor in weight gain is excess weight—that’s right, excess fat causes weight gain. Fat cells themselves cause hormonal, metabolic and molecular changes in the body that promote further weight gain. These factors 1) make it more difficult for the body to burn fat for fuel, 2) make it easier for the body to store carbohydrates as fat, 3) increase the capacity to accumulate fat in fat cells, and 4) alter regulators of appetite increasing the drive to eat . If that is not enough, excess weight tends to limit mobility due to fatigue, joint pain, and shortness of breath—limiting calorie output from activity. Weight-related conditions are often treated with medications that promote weight gain. Quality sleep can be limited with excess weight–stimulating hormones that increase appetite and fat storage. How about a diabetic who takes insulin, a cancer patient receiving chemotherapy, or getting a flu shot? These are all things in the modern world to help us and they are all tools just like weight loss surgery. — Barix Patient Hillary S.
It’s the advice you’ve been given your entire life—eat fewer calories and increase activity. You’ve done that, in fact, time and time and time again. But it doesn’t work—at least not for the long-term. You’re in good company—diets don’t work for the large majority of people. And it is not because people don’t have enough willpower. It is because our bodies are hardwired to hang onto our energy stores. In fact, dieting contributes to the progression of obesity. In a complex system, that we only partly understand, a reduction of calories and loss of weight kicks the body’s defense into high gear. First, metabolism slows so that fewer calories are burned throughout the day—meaning that fewer calories are needed just to maintain weight. It’s hard to eat fewer calories because several hormones signal your brain to increase your appetite. Then to top it off, the body changes up fat metabolism, reducing the ability to burn fat and increasing the ability to store greater amounts of fat. To sum it up, going on a diet causes an increase in fat accumulation, even without overeating. This explanation should help you to lose the blame that you perhaps have felt with every weight loss attempt. Once weight is gained, despite heroic efforts, it is a battle to fight the body’s strong defense to maintain or increase its fat storage. I tried for years and I was never able to lose more than 60 lbs. I’d try everything safe or unsafe and always managed to gain it back and more. The surgery saved my life and gave me a fantastic new life! –Barix Patient Joani C.
There is hope with weight loss surgery. Weight loss surgery is effective in maintaining long-term weight-loss. It is often referred to as metabolic and bariatric surgery because the body responds differently to weight loss after surgery as compared to weight loss by dieting. Weight-loss following bariatric surgery does not slow metabolism or the number of calories the body burns by more than is expected by changes in body weight and composition, in contrast to weight lost by dieting. Calorie intake is limited with surgery due to the physical changes that require smaller portions. 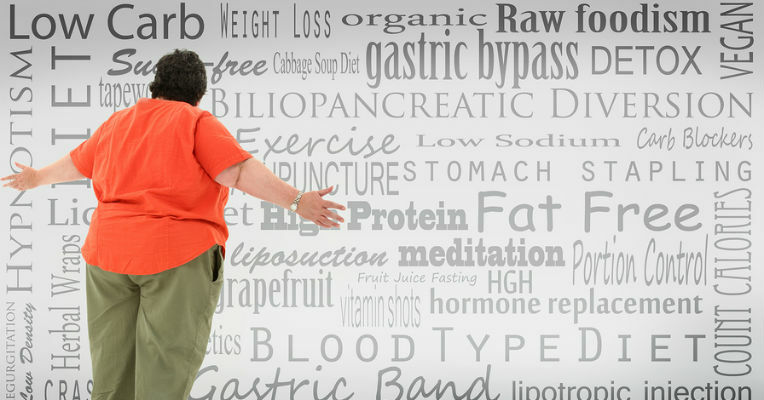 The gastric bypass procedure may result in a small portion of calories being absorbed, further reducing caloric intake. Bariatric surgery increases the production of hormones that decrease appetite and enhance feelings of fullness. Losing weight is one thing, maintaining it is something else. Surgery has allowed me to keep the weight off instead of yoyo dieting which always packed even more pounds back on than when I started. I still work hard every day making good choices and I don’t regret it one bit! –Barix Patient Lisa W.
The National Institutes of Health Experts Panel states that it is nearly impossible for those with severe obesity to reach and maintain a healthy weight by any other means than weight loss surgery. The American Heart Association, the International Diabetes Foundation, and the American Diabetes Association had all issued statements affirming the effectiveness of weight loss surgery. Weight loss surgery is an effective tool. Healthy choices still need to be made. Eating restrained at times. Activity increased. Now the odds have shifted dramatically—the body works with these efforts instead of stoutly defending excess fat stores. A healthy weight can be achieved and maintained. This entry was posted in Pre-Surgery. Bookmark the permalink.